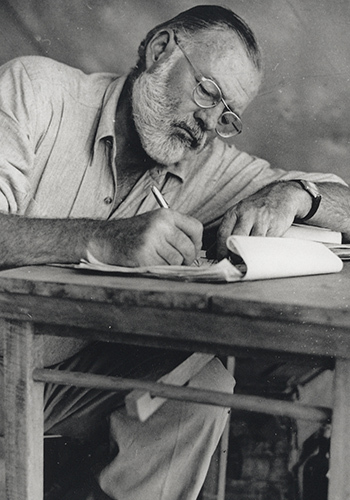 Ernest Hemingway's literary prowess and thirst for adventure made him a perfect match for the IGFA. In August 1940, Ernest Hemingway was named a Vice President of the IGFA, a title held until his death in 1961. He was and still is one of the most recognized ambassadors of this organization. A donor contributing, accumulating or pledging $1,000,000 (pledge payable over 120 months) is recognized as a Hemingway Society Member. Hemingway Society members will receive a custom plaque commemorating their commitment to game fish and the sport we love. Members will also receive an engraved plaque on the IGFA Donor Society Wall located in the IGFA Fishing Hall of Fame, and recognition in the International Angler, on the IGFA website, in the Annual Report and in the IGFA World Record Game Fishes book. These generous donors have joined Michael Lerner in planning for the future of recreational fishing and sustaining the work of the IGFA.